JOHNSTONE CONSTRUCTION SPECIALISES IN THE END TO END PROJECT MANAGEMENT AND DELIVERY OF COMPLEX AND MULTI-DISCIPLINED CONSTRUCTION PROJECTS. We work collaboratively with clients and contractors to deliver high quality builds on time and within budget. Complete project management and delivery of civil and construction works. Demolition and remediation of contaminated sites. Specialists with long experience in petrochemical construction projects. Live site refurbishment without disruption to trade. We provided end to end project management of the building process, from working with consultants at the planning and consent stages through demolition to civil works and construction. 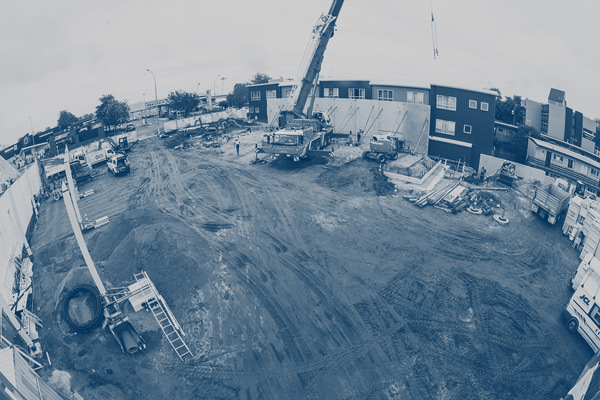 The site was situated in a busy urban area beside a large multi story motel and involved liaison with neighbouring sites and the control of construction noise, dust and vibration.